When DC successfully authenticates a user via NTLM (instead of Kerberos), the DC logs this event. 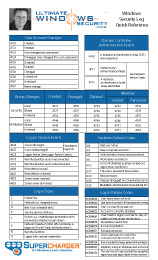 This specifies which user account who logged on (Account Name) as well as the client computer's name from which the user initiated the logon in the Workstation field. This event is only logged on member servers and workstations for logon attempts with local SAM accounts. The Account Used for Logon By field identifies the authentication package that processed the authentication request. Read more about Account Logon events. Account Used for Logon By identifies the authentication package that processed the authentication request. In Windows Server 2003 Microsoft eliminated event ID 681 and instead uses event ID 680 for both successful and failed NTLM authentication attempts. So on Windows Server 2003 don't look for event ID 681 and be sure to take into account the success/failure status of occurrences of event ID 680. Activity already recorded by other events.